Affirmation: I move forward fearlessly down the path to my dreams. Dreams can manifest right before your eyes, but you need to make small steps to make some come alive! Today I made a small step towards the fulfillment of my dreams. 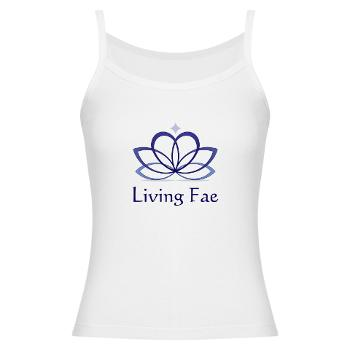 I’m very happy to present to you Living Fae Marketplace! We are fluttering about with joy and bursting with excitement to announce the launch of our new online storefront: Living Fae Marketplace! We’ve custom selected a variety of items, including organic tee’s and tanks for the entire family, to beautify with the Living Fae logo along with our signature saying Love, Light and Faerie Dust. Our logo is a purple lotus which is a representation of the mystic. It is also a reflection of Living Fae’s universal truth, a heart centered among the wings of the fae. Please browse your way over to http://www.cafepress.com/LivingFaeMarketplace. We are sure you’ll enjoy embracing your lifestyle with Living Fae. This is only the beginning. This summer we also be showcasing some enchanting products we’ve been dreaming up, designing and blessing.